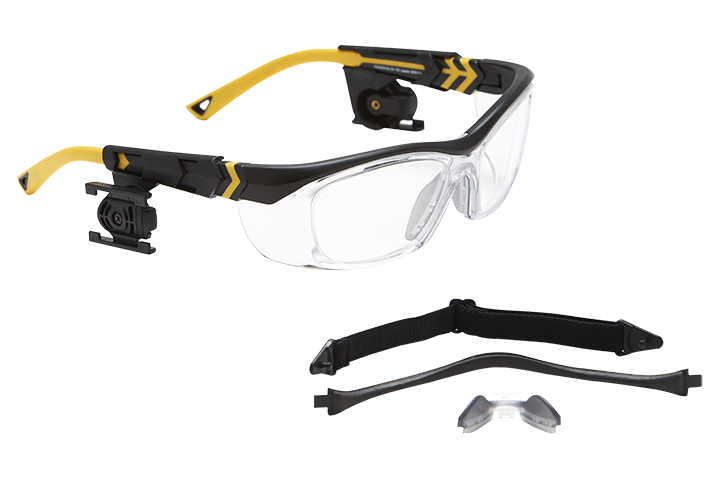 M-Series safety frames include left and right side clips with the custom Vuzix rail mounting system, allowing for right or left eye mounting with 30 degree rotation of the main M-Series Smart Glasses. Fitted with prescription blanks, these frames can be fitted for safety rated prescriptions at most optometrist facilities. Additional accessories include a comfort nose bride, dust guard, and temple head strap for a snug fit. Hilco OG225 frame safety certification information can be found here.